Source: Publisher/Netgalley in exchange for an honest review. 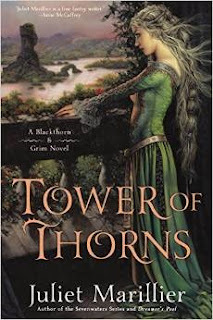 Synopsis: Award-winning author Juliet Marillier’s “lavishly detailed” Blackthorn & Grim series continues as a mysterious creature holds an enchanted and imperiled ancient Ireland in thrall. Source: This book was given to me by Rockstars Book Tours in exchange for an honest review. 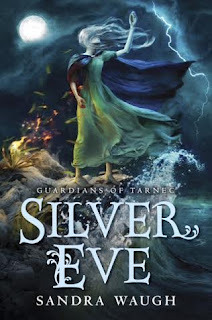 Synopsis: The Healer Evie saves two herbs for herself—yew, a quick and painful poison, and heliotrope, for the deep, deep sleep that never ends. 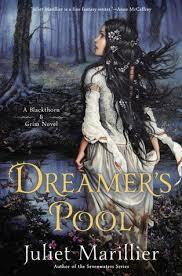 After the death of her beloved, seventeen-year-old Evie Carew wants nothing more than to lose herself forever in the wilds of Rood Marsh. 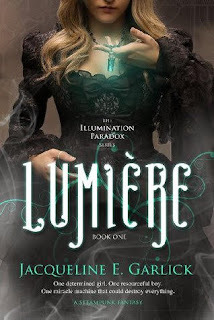 But when the old seer Harker tells her she’s meant for a greater task, Evie’s curiosity keeps her going. What is this shell that Harker insists she must find? And why can’t she stop thinking about the handsome Rider Laurent, the young man who saved her on the worst day of her life? Source: This book was given to me by Xpresso Book Tours in exchange for an honest review. 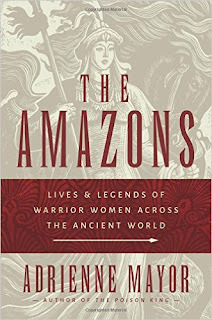 Synopsis: Amazons—fierce warrior women dwelling on the fringes of the known world—were the mythic archenemies of the ancient Greeks. Heracles and Achilles displayed their valor in duels with Amazon queens, and the Athenians reveled in their victory over a powerful Amazon army. In historical times, Cyrus of Persia, Alexander the Great, and the Roman general Pompey tangled with Amazons. 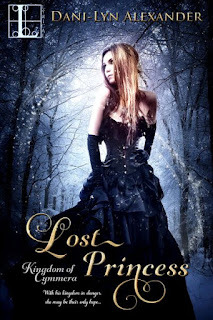 Synopsis: Even in a land of eternal twilight, secrets can’t stay hidden forever. 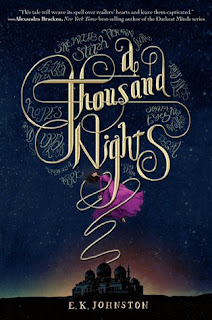 Seventeen-year-old Eyelet Elsworth is no stranger to living in the dark. She’s hidden her secret affliction all of her life—a life that would be in danger if superstitious townspeople ever guessed the truth. After her mother is accused and executed for a crime that she didn’t commit, the now-orphaned Eyelet has no choice but to track down the machine—her last hope for a cure. But Eyelet’s late father’s most prized invention, the Illuminator, has been missing since the day of the mysterious flash—a day that saw the sun wiped out over Brethren forever. 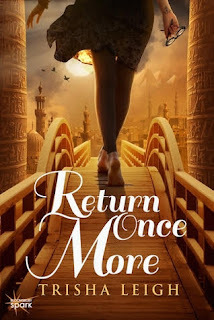 Synopsis: Lo-Melkhiin killed three hundred girls before he came to her village, looking for a wife. When she sees the dust cloud on the horizon, she knows he has arrived. She knows he will want the loveliest girl: her sister. She vows she will not let her be next. 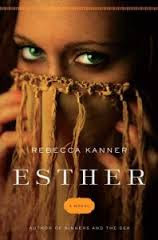 Synopsis: From the award-winning author of Sinners and the Sea comes a breathtaking new look into the timeless tale of Queen Esther. A glittering Persian king has a vast empire that reaches farther than where the sun meets the horizon. 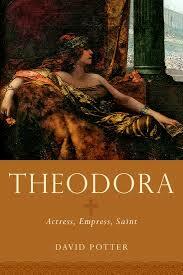 He is bathed in riches and commands a frightening military force. He possesses power beyond any other mortal man and rules his kingdom as a god. Anything he desires, he has. Any woman he wants, he possesses. Thousands of them. Young virgins from all across his many lands. 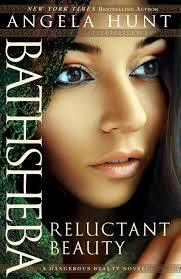 One of the Bible's most misunderstood and misjudged women, Bathsheba comes to life in this new biblical reimagining from Angela Hunt. 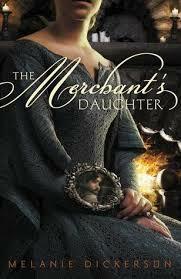 Combining historical facts with detailed fiction, this is an eye-opening portrait that will have you reconsidering everything you thought you knew about her. 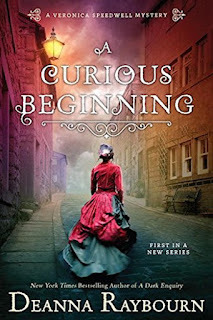 Synopsis: In her thrilling new series, the New York Times bestselling author of the Lady Julia Grey mysteries, returns once more to Victorian England…and introduces intrepid adventuress Veronica Speedwell.